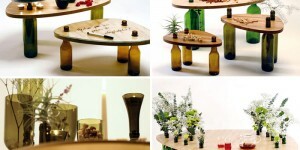 Cardboard box recreated to designer, trendy furniture piece for affordable price. 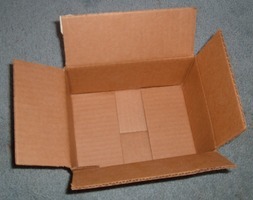 Having a baby and plenty of diaper’s boxes at home? 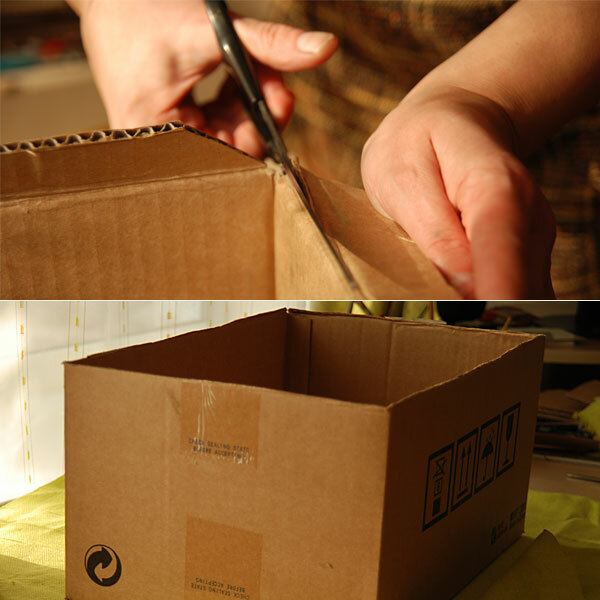 Do not throw them away, rethink usage and get inspired by creative ideas on how to make cardboard box for baby’s toys yourself. 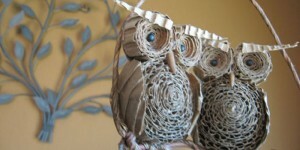 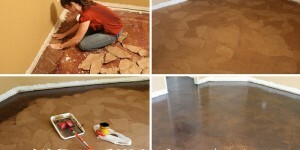 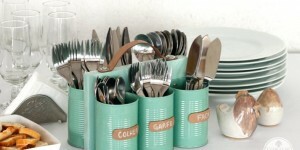 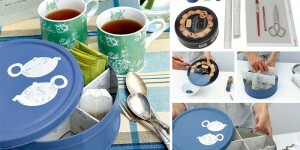 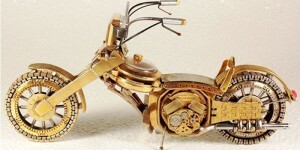 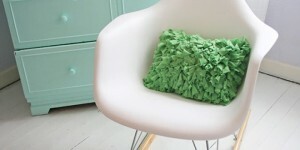 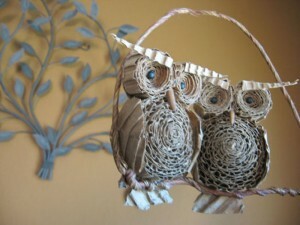 Creative crafts that recycle will be great example for your kids to work with you. 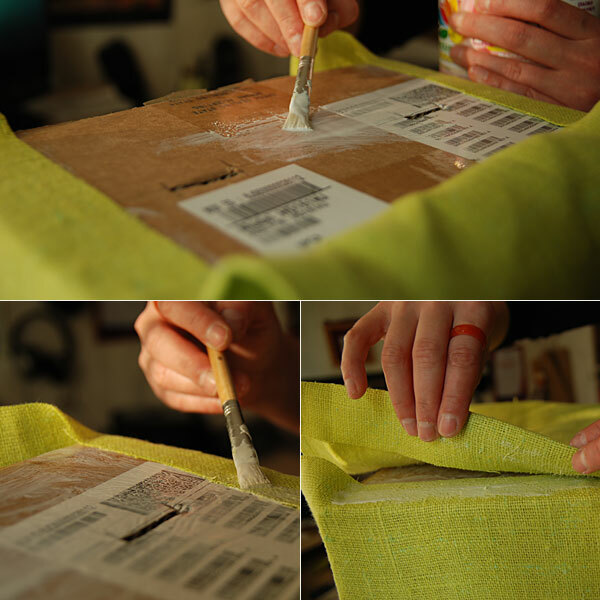 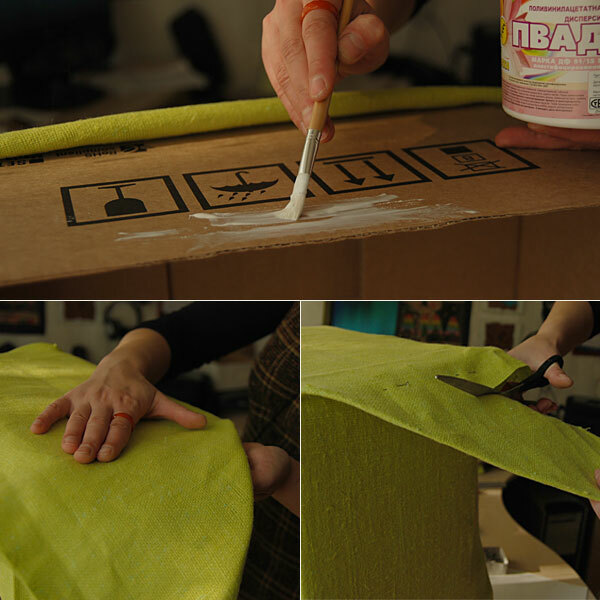 Cover cardboard boxes with fabric that fits your apartment and do not waste your money for fancy, mass produced, plastic boxes. 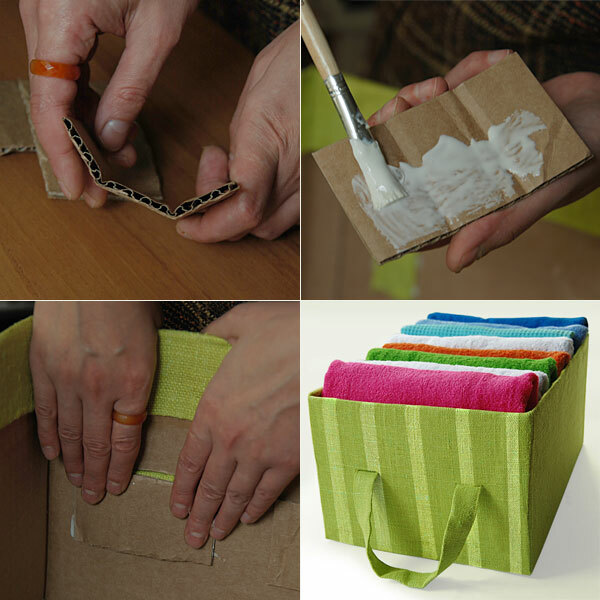 No boundaries to creativity, make lined decorative storage bin, organizer, magazine storage box, custom-sized decorative storage box with drawers, underbed storage etc. 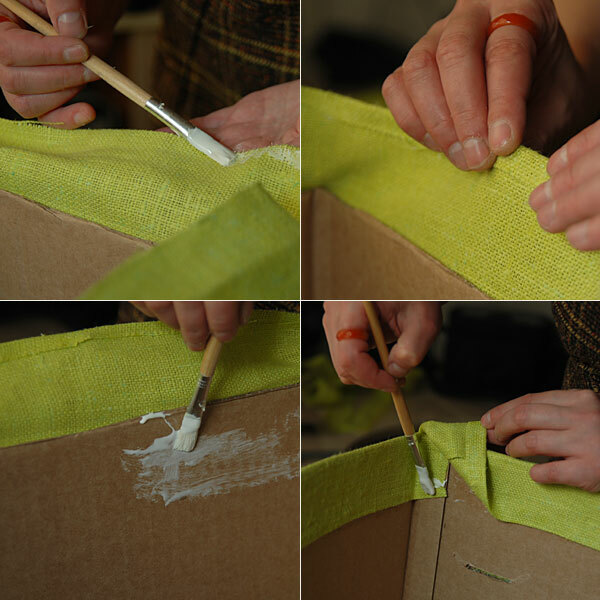 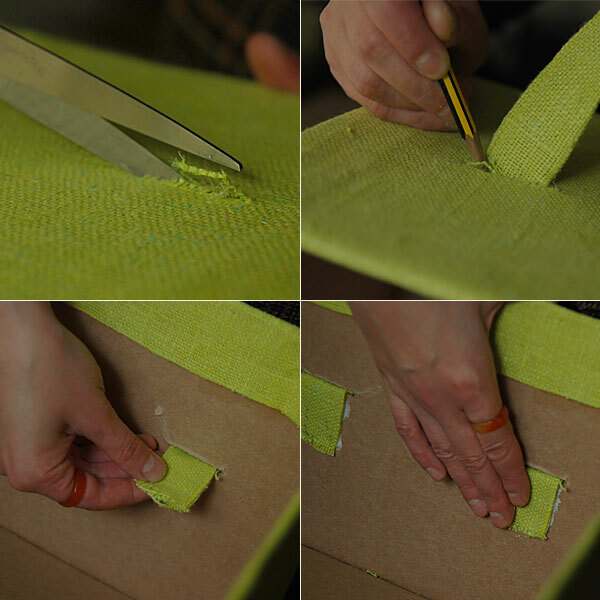 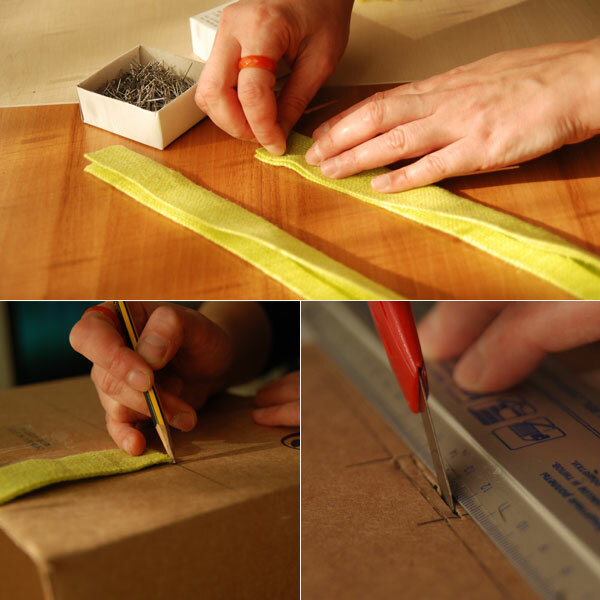 Utility knife, fabric or fabric liner and glue transforms your ugly, old cardboard box into unique, useful and elegant storage box option. 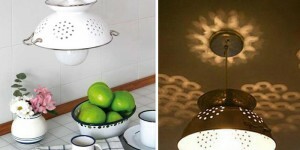 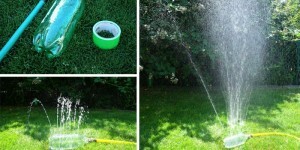 Think green and be creative.